The Sapplic "Left Behind" Series Grows More Intense! It is the very near future. Fundamentalists of all U.S. religions have combined to vote racists, homophobes, and women-haters into government. Soon women see abortions outlawed, themselves driven out of the workplace and legislated back into kitchens. For queers and people of color - and especially for anyone who is both - the situation is even more perilous: bashings and lynchings are at an all-time high. Those who can have trekked west to California, the lone liberal holdout. 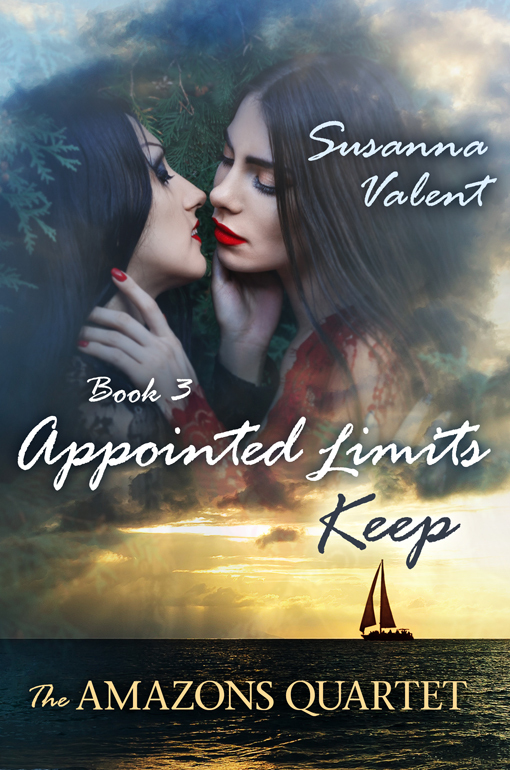 Among them are former Naval officer Kris Nordstrom, who has been forced to resign her commission by the new government, her lover Andrea, Kris's sister, Susanne, and her lesbian niece, Alix. In Volume III of this epic quartet of novels, the foursome have sailed to San Francisco, where they grow certain they are being shadowed by private detectives hired by Susanne's estranged husband and Alix 's father, who has joined the fundamentalists and wants "his women" back under his control. As Kris and Andrea work to establish a network of helping agencies who will assist women and others on the run, Alix's friends Danielle and Carole find out that their increasingly fundamentalist parents have signed them up for matrimony camp to indoctrinate them with the idea of growing up to become obedient, nurturing wives and mothers and of being forcibly married within the year. The connection between Kris and Danielle is strengthened as they begin to share their concerns and experiences via the internet. But as California is increasingly pressured to fall in line with the rest of the U.S., Kris and Andrea realize that their only hope of survival is to take friends and family aboard their ship and seek haven elsewhere -- that is, if they can escape before California succumbs to the fundamentalists and before Susanna's husband can swoop down to kidnap her and Alix back to life as virtual slaves in Ohio.